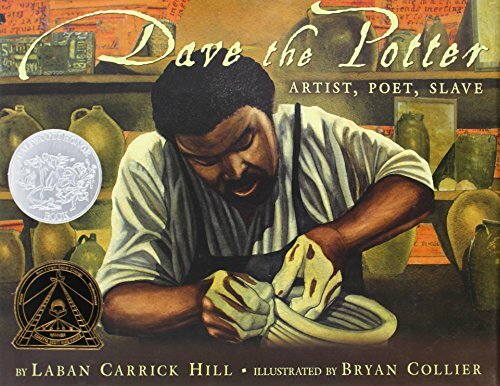 The Caldecott Medal was designed by Rene Paul Chambellan in 1937. 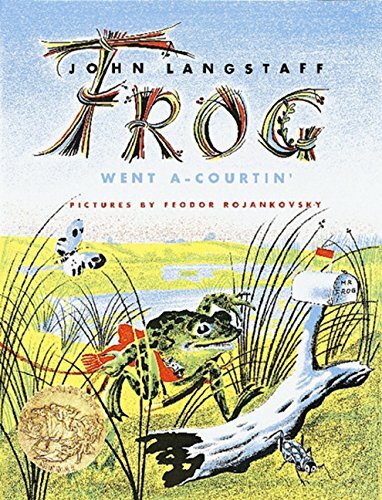 The scene on the face of the medal is derived from Randolph Caldecott's illustrations for The Diverting Story of John Gilpin where Gilpin is astride a runaway horse, which in turn was based on a poem from 1782 by William Cowper. 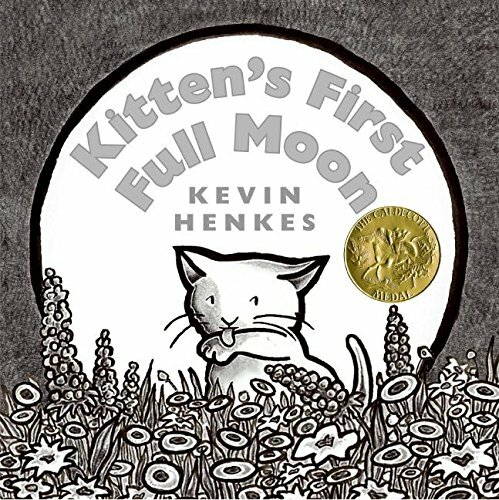 The reverse of the medal depicts another of Caldecott's illustrations, "Four and twenty blackbirds bak'd in a pie." Friends come in all sorts of shapes and sizes. 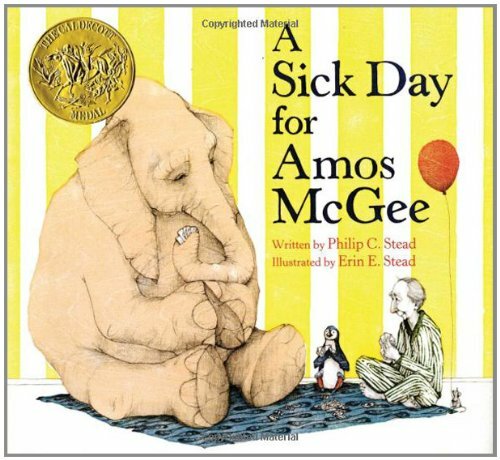 In Amos McGees case, all sorts of species, too! 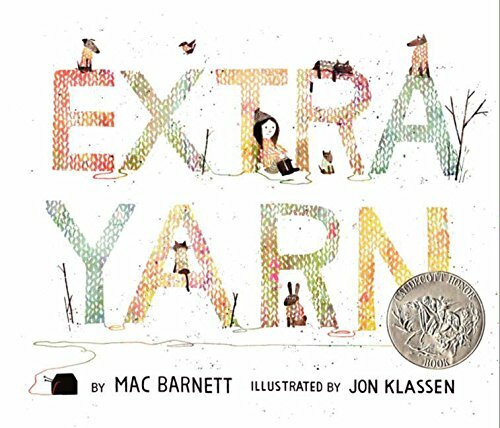 Every day he spends a little bit of time with each of his friends at the zoo, running races with the tortoise, keeping the shy penguin company, and even reading bedtime stories to the owl. 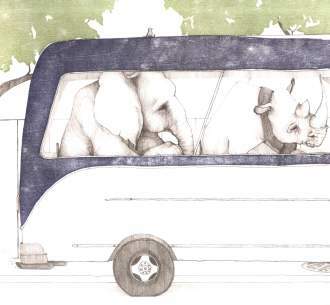 But when Amos is too sick to make it to the zoo, his animal friends decide its time they returned the favor. 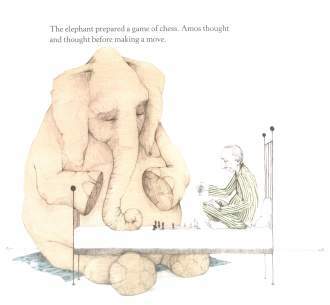 The elephant prepared a game of chess. 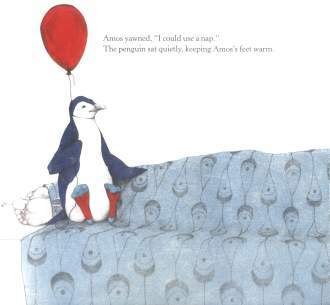 The penguin sat quietly, keeping Amos's feet warm. A memoir of drinking and recovery. 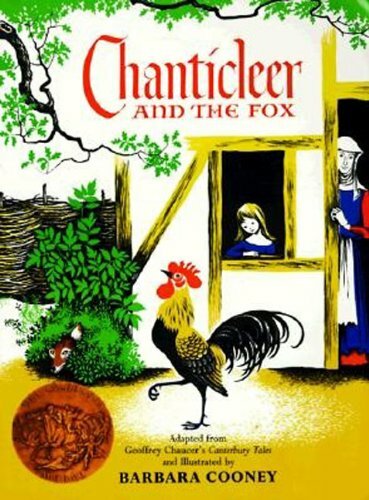 From the acclaimed and popular illustrator of the New York Times bestseller Alices Adventures in Wonderland and Snow White, comes a unique and visually stunning spin on Cinderellapublished to coincide with the release of the major-motion picture from Walt Disney directed by Kenneth Branagh and featuring an all-star cast. 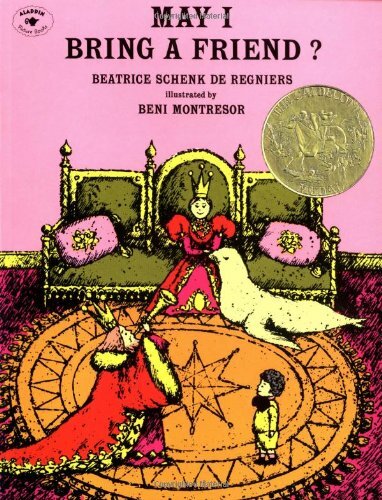 Charles Perraults story of a sweet-tempered young girl, forced into servitude by her evil stepmother and stepsisters, who finds true love with a handsome prince (with the help of a fairy godmother), has enchanted readers for more than 300 years. 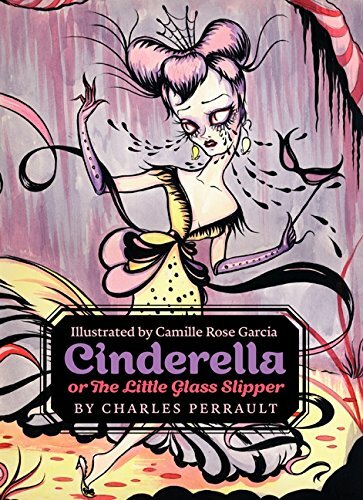 In this lavishly illustrated retelling of the classic fairytale, Camille Rose Garcia reimagines Cinderella through her distinctive visual aesthetic. Hers is a Cinderella for the twenty-first century: dark, compelling, vibrant, and enthralling. 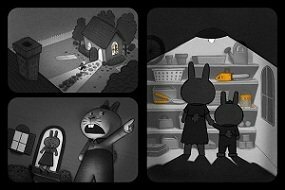 In this Caldecott Honorwinning picture book, The Twilight Zone comes to the carrot patch as a rabbit fears his favorite treats are out to get him. 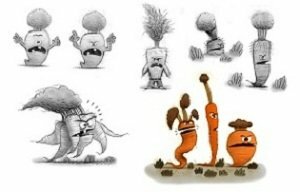 Jasper Rabbit loves carrotsespecially Crackenhopper Field carrots. 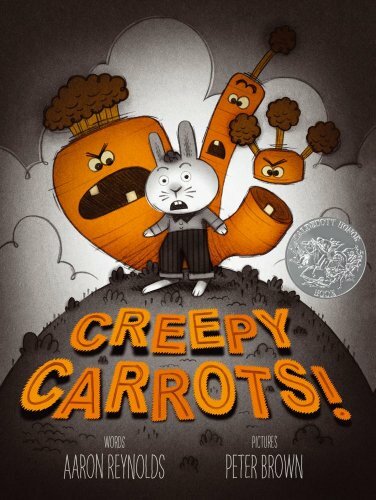 Celebrated artist Peter Browns stylish illustrations pair perfectly with Aaron Reynolds text in this hilarious picture book that shows its all fun and gamesuntil you get too greedy. 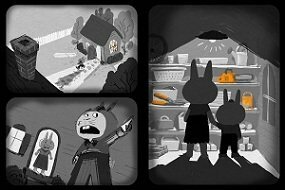 I used pencil sketches and my computer to create rough, moody sketches for each illustration. Early on, I thought using a black border around the art would add to the moodiness. Then I made clean, final sketches using just my computer. For the final art, I created tight drawings with pencil on paper, and scanned them into my computer where I added the finishing touches. 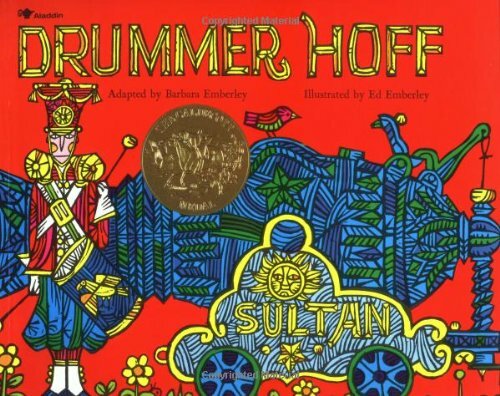 Ed Emberley won the 1968 Caldecott Medal for his bold illustrations for Barbara Emberley's jaunty adaptation of the cumulative folk song about seven soldiers who build a magnificent cannon and Drummer Hoff, who fires it off. A masterful, intensely suspenseful novel about a reader whose obsession with a reclusive writer goes much too farthe #1 New York Times bestseller about the power of storytelling, starring the same trio of unlikely and winning heroes Stephen King introduced in Mr. Mercedes. 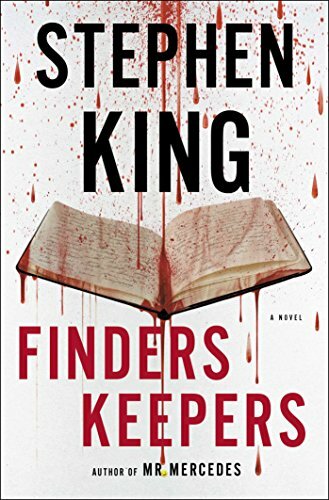 Not since Misery has Stephen King played with the notion of a reader and murderous obsession, in this #1 acclaimed bestseller filled with nail biting suspense thats the hallmark of [his] best work (Publishers Weekly). SUPERB . . . KINGS RESTLESS IMAGINATION IS A POWER THAT CANNOT BE CONTAINED. 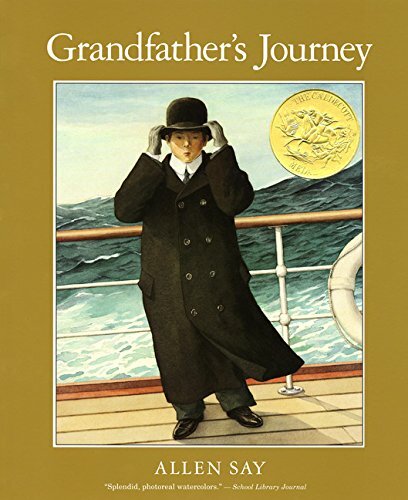 Lyrical, breathtaking, splendidwords used to describe Allen Says Grandfathers Journey when it was first published. 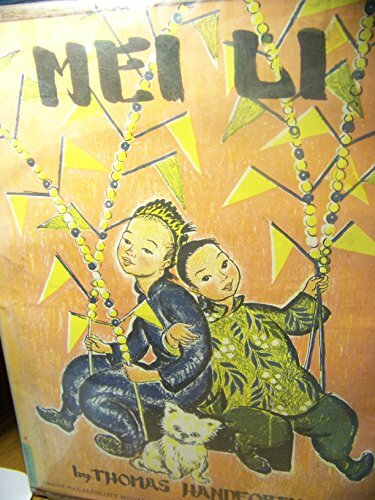 At once deeply personal yet expressing universally held emotions, this tale of one mans love for two countries and his constant desire to be in both places captured readers attention and hearts. 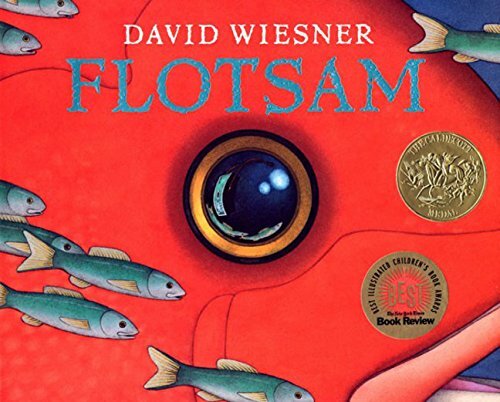 Winner of the 1994 Caldecott Medal, it remains as historically relevant and emotionally engaging as ever. 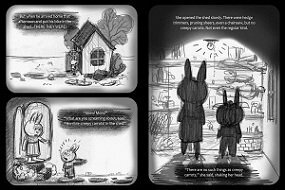 Home becomes elusive in this story about immigration and acculturation, pieced together through old pictures and salvaged family tales. 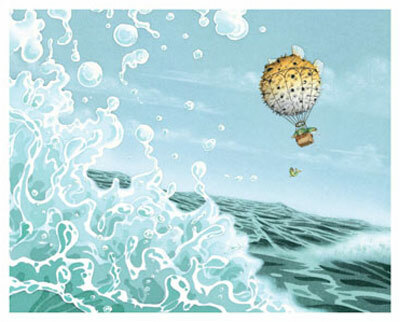 Both the narrator and his grandfather long to return to Japan, but when they do, they feel anonymous and confused: "The funny thing is, the moment I am in one country, I am homesick for the other." Allen Say's prose is succinct and controlled, to the effect of surprise when monumental events are scaled down to a few words: "The young woman fell in love, married, and sometime later I was born." 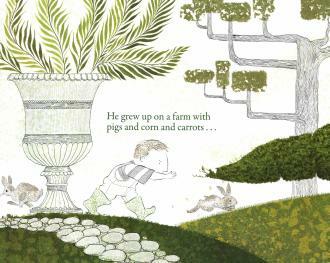 The book also has large, formal paintings in delicate, faded colors that portray a cherished and well-preserved family album. 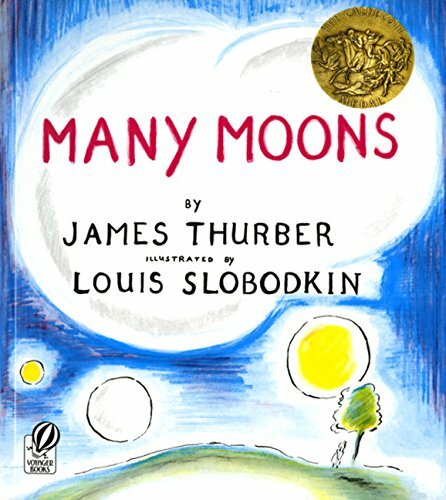 The book, for audiences ages 4 to 8, won the 1994 Caldecott Medal. 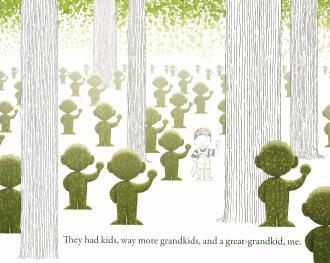 Grandpa Green wasn't always a gardener. 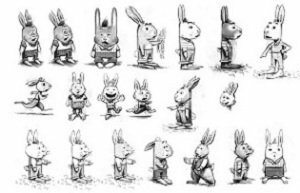 He was a farmboy and a kid with chickenpox and a soldier and, most of all, an artist. 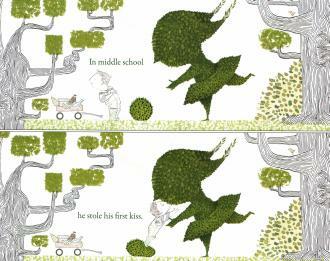 In this captivating new picture book, readers follow Grandpa Green's great-grandson into a garden he created, a fantastic world where memories are handed down in the fanciful shapes of topiary trees and imagination recreates things forgotten. 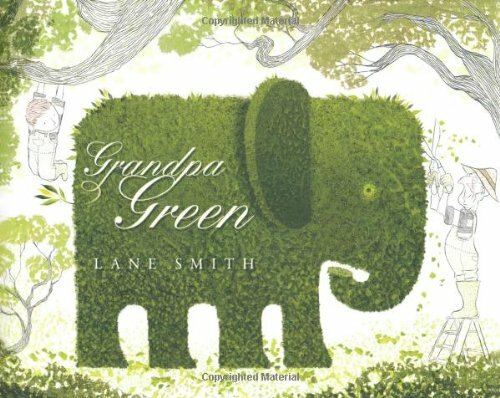 In his most enigmatic and beautiful work to date, Lane Smith explores aging, memory, and the bonds of family history and love; by turns touching and whimsical, it's a stunning picture book that parents and grandparents will be sharing with children for years to come. 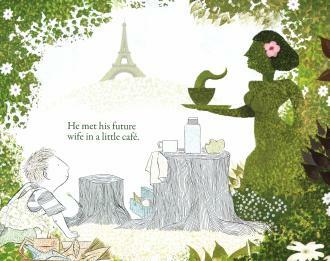 From the creator of the national bestseller It's a Book comes a timeless story of family history, legacy, and love. 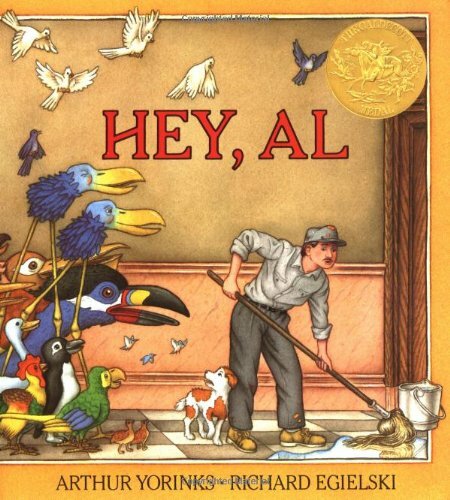 The plot of this book, for 4-year-olds and up, involves the travails of Al, a janitor who lives in a dingy apartment on Manhattan's West Side with his dog Eddie. 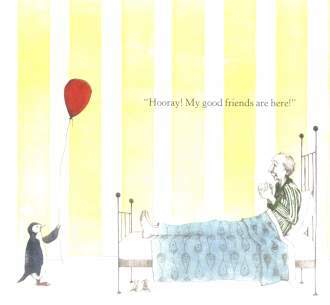 One day, a funny-looking bird sticks its huge head through Al's bathroom window and proposes a journey to a terrific place where there are "no worries" and "no cares." Al agrees and takes Eddie with him. What the two experience is paradise--butterflies, wildflowers, chirping birds and cool streams--but it soon gives way to the uncertainties of being away from home, and a moral: that home is where the heart is. 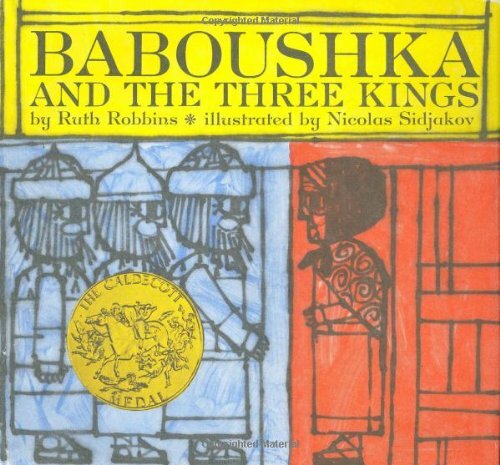 This sharp, wry and tender story, which won the 1987 Caldecott Medal, marks Yorinks' and Egielski's fourth highly praised collaborative work. 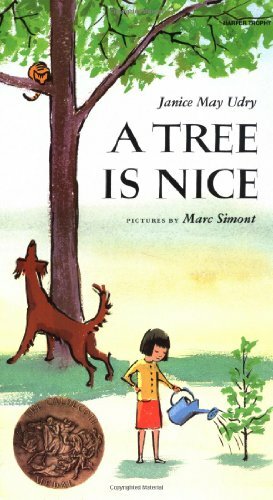 Three little girls spare no mercy to Lon Po Po, the granny wolf, in this version of Little Red Riding Hood where they tempt her up a tree and over a limb, to her death. 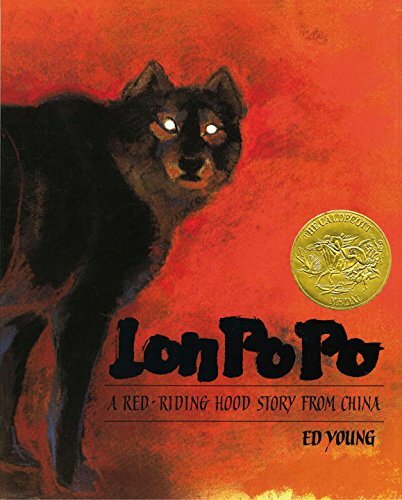 The girls' frightened eyes are juxtaposed against Lon Po Po's menacing squint and whirling blue costume in one of the books numerous three-picture sequences, which resemble the decorative panels of Chinese tradition. 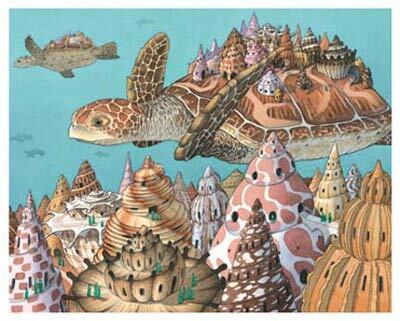 Through mixing abstract and realistic images with complex use of color and shadow, artist and translator Young has transformed a simple fairy tail into a remarkable work of art and earned the 1990 Caldecott Medal in doing so.